The FCA found that a customer was able to open an account with 3 million UAE Dirham (just over £500,000) in cash in a suitcase. "Standard Chartered’s oversight of its financial crime controls was narrow, slow and reactive." 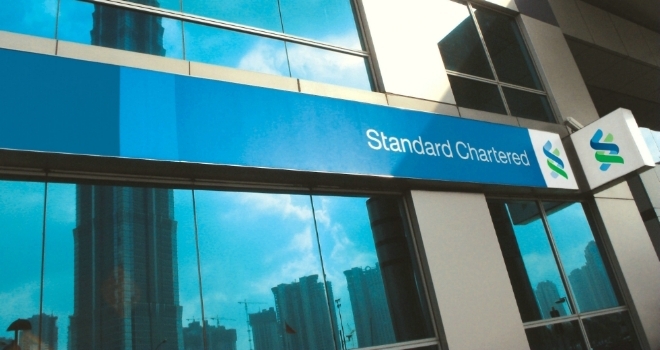 Today’s announcement follows FCA investigations into two areas of Standard Chartered’s business identified by the bank as higher risk: its UK Wholesale Bank Correspondent Banking business and its branches in the United Arab Emirates. The FCA found "serious and sustained shortcomings" in Standard Chartered’s AML controls relating to customer due diligence and ongoing monitoring. It found that Standard Chartered failed to establish and maintain risk-sensitive policies and procedures, and failed to ensure its UAE branches applied UK equivalent AML and counter-terrorist financing controls. The FCA also found "significant shortcomings" in Standard Chartered’s own internal assessments of the adequacy of its controls and its approach towards identifying and mitigating material money laundering risks. During the investigation, the FCA found that one customer was able to open an account with 3 million UAE Dirham in cash in a suitcase (just over £500,000) with little evidence that the origin of the funds had been investigated. The Bank also failed to collect sufficient information on a customer exporting a commercial product which could, potentially, have a military application. This product was exported to over 75 countries, including two jurisdictions where armed conflict was taking place or was likely to be taking place. Standard Chartered did not dispute the FCA’s findings and exercised its right, under the FCA’s partly contested case process, to ask the FCA’s Regulatory Decisions Committee to assess the appropriate level of sanction. Standard Chartered’s agreement to accept the FCA’s findings meant it qualified for a 30% discount. “Standard Chartered is working to improve its AML controls to ensure all issues are fully addressed on a global basis. The FCA has taken into account Standard Chartered’s remediation work and its cooperation in assisting the FCA investigation, without which today’s financial penalty would have been even higher.